Over the years, I’ve sampled different flavored Oreos. Thanks to my friend Julie from Texas, I learned about the Birthday Cake flavor, but neither of us could find them in the stores a few months ago. Bummed, I wanted to find a package since I like Oreos. So imagine my elation when I was at the store the other day and found them on the shelf. They have made their limited return, and ready for me to consume. Opening the package, the familiar row of chocolate wafer cookies appears. But instead of the solid white center, this variant cream-filled center is a artificially-flavored mixture that makes it taste like a birthday cake – complete with sprinkles. This has to be good… right? It actually was good. Not “OMG!” good, but tasty good. If these stuck around on a more permanent basis, I might buy them instead of the regular Oreos, just to mix it up a bit. If you want to try these, I suggest you head to your local grocery store and find a package before they disappear off store shelves again. I thought they tasted a bit chemical-like. I prefer original OREOS… or perhaps the Golden OREOS! 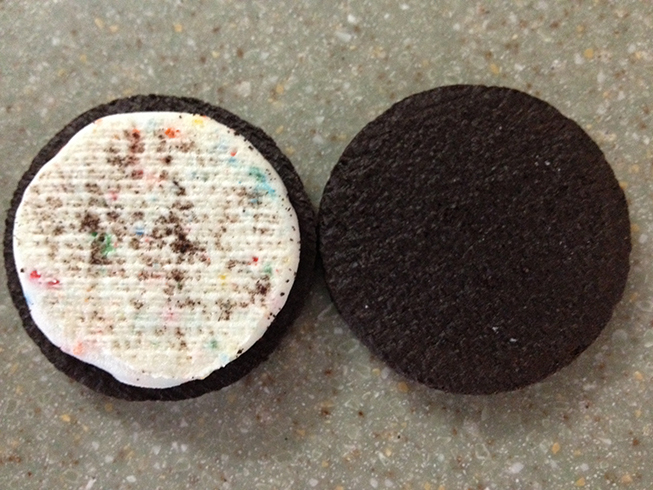 I always like to try these new Oreo flavors when they come out. Didn’t see them at the grocery store when we were there the other day. Next time we go I’ll keep my eye out. If you find them, I would be curious how you like this flavor. 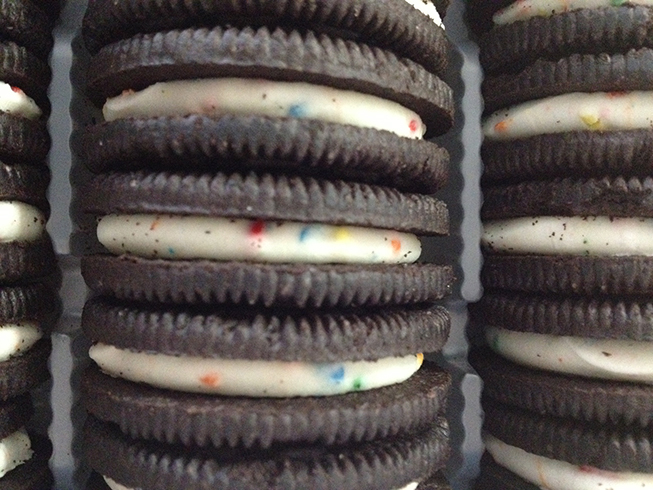 I am a big fun of Oreos. This one’s worth the try. 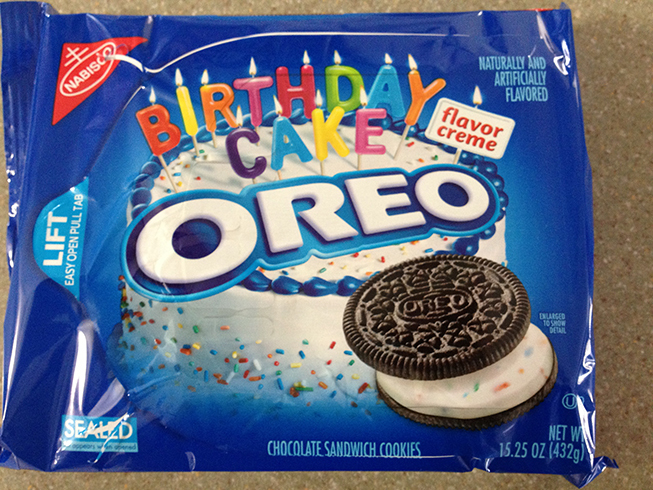 If you like Oreos, you should try this flavor.